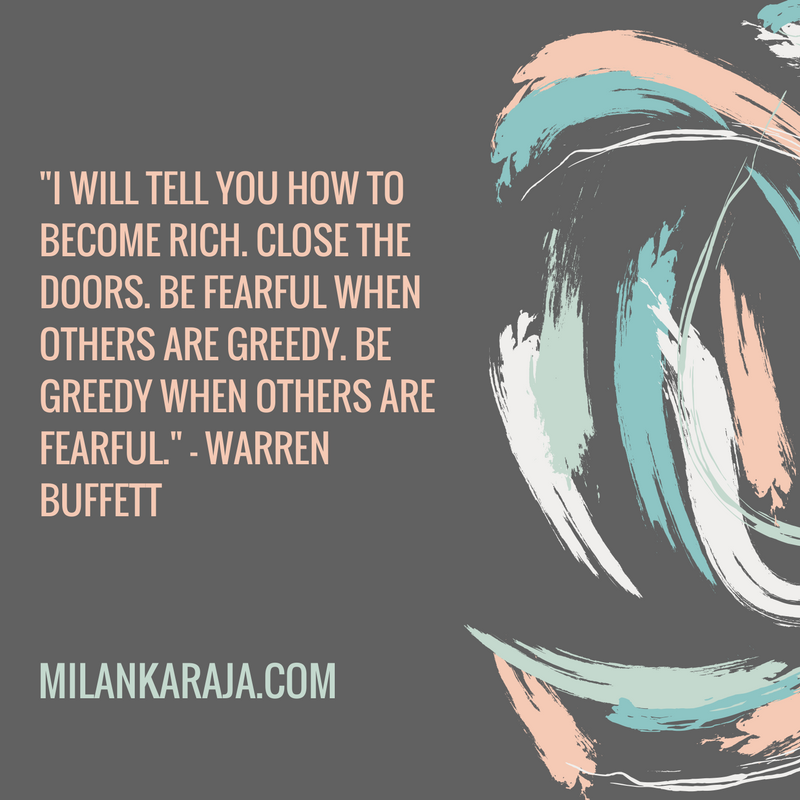 17 financial jargons that will make you a stock expert | "Blogging by the Road not Taken"
Decisiveness and Patience to trump life! Seeking to explain complicated financial hindsight in the most comprehensible way, here is a list of 17 questions to research before you invest your hard earned money in Equity. Stocks can give the best returns over a long term. If you don’t need your capital for some other trusted business that can ensure you higher returns, then invest in stocks. I definitely recommend everyone to park a little funds in the stock markets. You need to ensure your financial future by bringing in cash flows from different sources. Investing in Equity is in a way investing in the economy. Public companies also capitalize on their equity to increase borrowings and grow. If you have cash lying around and don’t know anything better to do with it, then you should consider a well diversified index fund. Investing passively across a diversified ETF should definitely ensure steady returns over a long term. However, such schemes do come with a cost. Hence if you have no intentions to research your stock picks, you may have to find the cheapest and most reliable index fund out there. Vanguard index funds are very popular as they have a very minimal costing structure. The passive fund requires no active managers and thus is much cheaper. Remember to stay long in the equity markets. But if you really want to have fun in the equity markets and would like to save that extra fee that you pay for an index fund, you can construct your own stock portfolio. You need to purchase great companies with strong fundamentals at the right price. 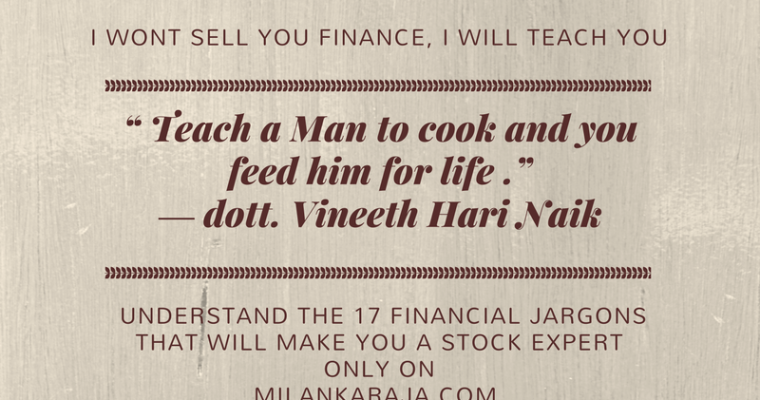 Based on my personal experience, simple financial knowledge can make you big money in the stock markets. In spite of the recent March, 2017 gains in the Indian equity markets, I have chosen to remain long. Maybe, I should be booking my profits now, but I prefer to wait it out. I would have to pay loads of transaction fee and short term gains taxes. But I would like to stick around and collect dividends for the next 20 years or more. My personal preference here is to stay long. I believe that it is impossible to predict the direction of prices in the short term. But the trend is always up in the long term, if nothing drastic affects the company with strong fundamentals. Therefore, considering these 17 points before you go long should help you make a better decision. Alternatively you can have a look at these 3 additional advanced multibagger stock investing concepts. Though the checklist may work for short term gains, it is aimed for the long term investor. Is the Investment less than 5% of your total Investment portfolio? This is me diversifying against hate comments post Blog publish. Your money is very important also for me. The markets are too erratic for anyone to predict accurately. Hence, always diversify. Most of my stocks have fallen after purchase. Eventually after a time period, most of them do rise. What product or service does the company provide? How big do you think is the market? Is growth sustainable in the long term? Great understanding of the company and its business is crucial before you decide to buy its shares. What are its short term and long term missions? What are the Industry trends? How are the peer company stocks performing? What are the Industry headwinds? The key is to make sure that the stock chosen is the best among the peers. To make sure that whatever the reasons you were interested in it was not just Industry specific. Hence it is important to analyze in detail all the peer companies too. Does the company have a steady Sales growth? If not why? Operating Profit Margins (OPM): This can be tricky to analyze in financial sectors like Banking. But nonetheless, higher the profit the company makes after paying for the cost of goods sold the better. Who wouldn’t invest in a product with high margins? Net profit margin: The profits the company makes after paying out everything including the taxes. Pre Tax margins should also be looked. Positive earnings per share followed by consistent growth is desirable. If you are here for the long haul, you should diversify your portfolio across company size. Important to check if your company is listed in any of the popular indexes. If you are invested in a company listed in popular ETFs then you are ensured of steady inflows. Finding a good company is not the challenge. The real challenge is finding its shares available at a great price. The key is to buy great stocks at the cheapest price. Price to Earnings: The ratio of the share price over its per share earning is a great valuation metric. Higher P/E ratios could indicate a growth potential in a stock. Investors are hopeful that the earnings will rise so high that the P/E ratio will eventually decrease. Most great blue chip companies trade at significantly higher P/E ratios. Picking some of these at lows can be a great idea. But on the other hand, companies with low P/E can be great investments for short term returns. Considering that markets always over react, a stock trading at low P/E for temporary reasons make great investments. An investment in an Indian oil stock has yielded over 150% in returns in less than a year. I found it to be trading at a historical low P/E only due to Industry headwinds. Look at historical P/E ratios to pick stocks at the right time. The key here is to find companies paying consistently increasing dividends over a long period. Apart from the Dividend yields, you need to look at the Dividend payout ratio. It is the percentage of earning paid out in dividends, should ideally be around 20-30%. This would mean that the company still keeps 70-80% of the earnings to reinvest in itself. If the Industry has huge growth scopes, this would be justified. More saturated cash cow companies would tend to give out a higher payout ratio in the range of even 50-60%. But remember, this means that they have lesser money to reinvest in further business. My suggestion is to get a mix of companies, but make sure that 90% of your portfolio has a long dividend history. Dividends make a big difference in the long run. A sign of a healthy business. Often ignored, but you can learn a lot from traded and deliverable volumes. If the stock price is going up and you have a higher percentage of equity delivered in demat accounts after trade, then investors are bullish. If the stock price is going down and you have a higher percentage of equity delivered in demat accounts after trade, then investors are bearish. An indicator like the Beta of your stock indicates how volatile its price is in comparison to the market. The calculation of a beta is done by dividing the covariance of the stock and market returns by the variance of the market returns. Beta values can be easily found on line for listed companies. Stocks with higher beta tend to give higher returns in a bullish environment while lower beta stocks are companies whose sales do not get much affected by market sentiment. Pharmaceuticals and FMCG usually have a beta lesser than one as their sales tend to not be correlated with the overall market. Whereas Banking, Financials and Materials tend to have a beta higher than one. Like Beta, Alpha helps you to compare your stock returns with a benchmark. The Alpha is the excess returns over a benchmark index. An indicator to measure investor performance, it is important to pick an appropriate benchmark index for your stock. While earnings can always be manipulated, the cash flows paint a more clear picture. Steady positive operating cash flows is a good sign. Free Cash Flows i.e Operating cash Flows minus Capital Expenditure , is a good indicator as it shows the ability of the company to enhance shareholders value. Discounted Cash Flow method of valuation of a company utilizes these Free Cash Flows. Who are the Promoters and what is the Shareholding pattern? How is the Shareholding pattern changing over time? The ratio of current assets and current liabilities from the Balance Sheet is a popular indicator for liquidity of the company. Comparing historical values of all the ratios is recommended. Dividing the total company liabilities with the shareholder equity enables a better understanding of the financial leverage of the company. It is important to understand how much Debt and Shareholder Equity goes to finance the assets of the company. Book value of a company is the shareholder’s equity (Assets-Liabilities) that excludes also the intangible assets. Low Price to Book ratio makes a stock attractive as you get ownership of more tangible assets for a lesser price. Analyzing your stock picks based on the above seventeen points should make you a smarter investor. Additionally, it is useful to visit investor forums to further your company research. Finally, correct decisions and long term patience is needed to make huge gains in the stock markets. Investing in equity is only a wealth generation tool and should not be looked upon as an alternative to make regular income. The short term volatility can cause massive losses if you are not careful.